Will Ferguson & Associates was named "Best in the Business" and featured in the May 20 edition of the television show "Who Rocks New Mexico." The segment aired across most of New Mexico and parts of Southern Colorado at 4:30 p.m. Sunday, May 20 on KOB-TV Channel 4. In the 90-second segment, Will Ferguson & Associates attorney, Martin J. Chavez, former mayor of the City of Albuquerque, explains what the law firm does. As the largest personal injury law firm in New Mexico, Will Ferguson & Associates pursues injury claims on behalf of victims of auto, truck and motorcycle accidents. It also represents plaintiffs in wrongful death cases and it represents people who have been injured through medical malpractice or by dangerous medications or consumer products. The law firm also represents people who have been injured in workplace accidents or through nursing home abuse. It also takes on the cases of people who have been treated unfairly by insurance companies. The ten-attorney law firm was founded by Will Ferguson in 1983 and it practices personal-injury law exclusively. "Personal injury is all we do," Chavez told "Who Rocks New Mexico" viewers. 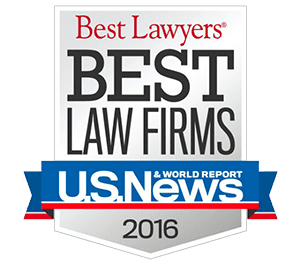 WIll Ferguson & Associates is rated "AV," or "preeminent" in the practice of personal injury law by Martindale-Hubbell, the gold standard of attorney rating agencies. Chavez explained to the "Who Rocks New Mexico" audience that the firm's success lies in the decades of experience of its attorneys and its ability to thoroughly research the facts of each case it takes on. It has the financial resources to retain expert witnesses who can explain to a judge or jury why an injury occurred, who should be held liable and what the injury has cost the client in terms of lost wages or enjoyment of life, Chavez said. In a personal injury case taken on by Will Ferguson & Associates, the client pays no fees unless the firm is successful in recovering compensation. "Who Rocks New Mexico" is produced by Cliffdweller Digital, a local production company. It is hosted by broadcast veteran Richard Holcomb. The TV show also will feature Will Ferguson & Associates in later episodes. In another segment set to air this summer, Chavez offers a checklist of things to do for people who have been involved in accidents. Adhering to the checklist helps preserve a plaintiff's right to file a claim, Chavez said. If you'd like to know more about the the qualifications of the attorneys at Will Ferguson & Associates, you'll find their professional biographies here. You'll find a summary of some of our verdicts and settlements here. If you'd like a free evaluation of your potential personal-injury claim, call Marty Chavez at (505) 633-7070. It makes sense that if you've suffered a life-changing injury through the negligence of someone else you should retain the largest and most experienced personal-injury law firm in the Land of Enchantment.